Ultrasonic cleaning is one of the most highly effective and efficient methods used for cleaning a wide array of parts even in mass production environments. When ultrasonic energy is introduced into a cleaning solution, cavitation, the foundation of ultrasonic cleaning, occurs. Ultrasonic energy causes alternating patterns of low and high pressure phases. During the low pressure phases minute, bubbles or vacuum cavities form. During the subsequent high pressure phases, the bubbles implode violently. This is called cavitation. Cavitation provides an intense scrubbing action that leads to unsurpassed cleaning speed and consistency compared with simple soaking or immersion with agitation. Additionally, the bubbles are small enough to penetrate even microscopic crevices, cleaning them thoroughly and consistently. Fine Sonic batch processing cleaner with frequency of 800 kHz. Suitable for cleaning Si wafers, photomask and magnetic disks. Fine Jet single wafer cleaning device with frequency of 1.5 MHz or 3.0 MHz. Suitable for cleaning Si wafers, photomask, LCD glass and magnetic disks. Fine Squall single wafer cleaning device with frequency of 1.5 MHz. Suitable for high throughput single wafer cleaning and large size glass substrate. Sweep Sonic batch processing cleaner with 28-200 KHz range. Suitable for Si wafers, magnetic disks, lenses and wafer cassettes. 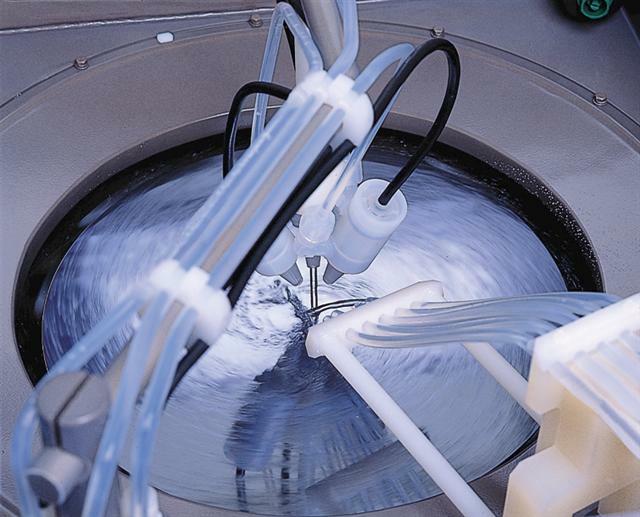 Complete automated custom wet process cleaning systems for Si wafers and magnetic disks.